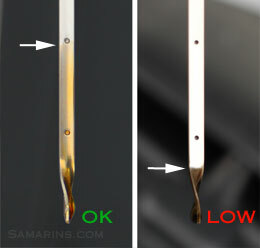 Check the oil condition: If it's way too black, as in the left photo, it's definitely time to change it. If it's brown, but still clean and transparent, as in the right photo, it's OK. 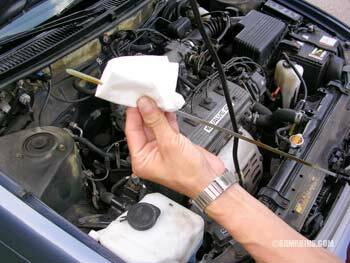 If oil looks clean, but the level is low, you can just top it up.